The Best OBD2 Scanner varies from person to person because of different needs. That’s the reason why you need to read this Definite Buying Guide before taking one. Keep on reading my Honest Reviews and the Definite Buying Guide for the Best OBD scanners and choose the best OBD2 scanner for your vehicles. 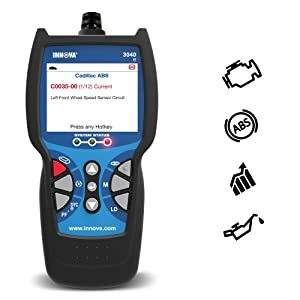 Let’s start NOW with the Honest Review of the 18 Best OBD2 Scan Tools updated January 2019. 3.1 What Is An OBD Scanner? 3.2 Why Do I Need An OBD Scanner? 3.3 What If I’m A Mechanic? 3.4 Should I take an OBD1 or OBD2 Scanner? 3.5 What are the Types of OBD2 Scanners? What can they do? 3.6 Infographic: How to choose the Best OBD2 Scanner? 3.7 Should I Take Corded Or Bluetooth OBD2 Scanner? 3.8 How about Bluetooth Adapters For iOS, Android, and Windows Devices? 3.9 Are There Any OBD2 Scan Tools For A Specific Car Make Or A Group Of Vehicles? 3.10 What Are The Best OBD2 Scanner Brands? 3.11 Which Protocol Is Supported By My Vehicle? Bottom Line Bludriver is excellent for DIYers and average car owners. Foxwell NT301 is extremely convenient for DIY-ers and home mechanics. Ancel AD410 is one of the best car code readers for beginners and ordinary car owners. Bluedriver is the best OBD2 Scanner for DIYers. Bluedriver performs pre-inspection emissions checking and interprets the specialty codes for Detroit’s big three automakers, BMW/Mini and Toyota vehicles. The BlueDriver kit is a tad bit expensive than other scanners. But it goes beyond basic scanners to show recalls and dynamic data, and offer repair suggestions. Its Freeze Frame feature delivers a slice of data. Moreover, the app can display speed, engine RPMs, and other data as numbers or graphics gauges. Bluedriver Scan Tool is a complete combination of the BlueDriver Sensor and the BlueDriver App (free). 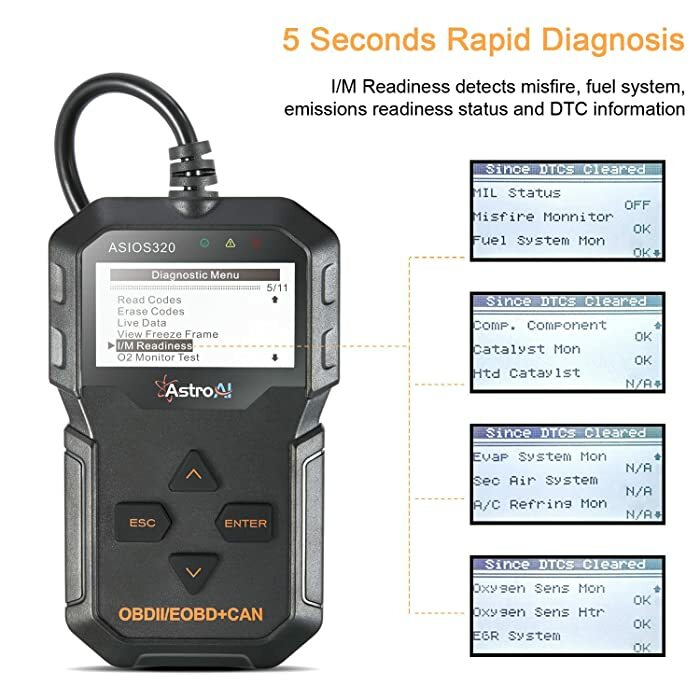 It performs pre-inspection emissions checking and interprets the specialty codes for Detroit’s big three automakers, BMW/Mini and Toyota vehicles. Nissan’s codes are being added. It can count engine misfires on many newer cars, and the reports can be saved as PDFs. It doesn’t support the Windows phone as it supports only iOS/Android. The layout is a little confusing. 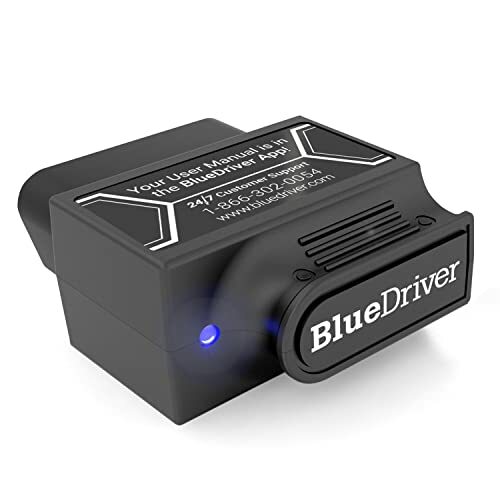 BlueDrive quickly detectes car’ fault, erased it and turns off the check engine light. This is definitely the best OBD2 scanner in 2018 for DIYand comes at a relatively affordable price. It is compatible with worldwide cars, SUVs, light truck and 12V diesel equipped with OBD2. Foxwell NT301 is small and light and has a 2.4-inch color screen. It has the ability to export data and can update its software. 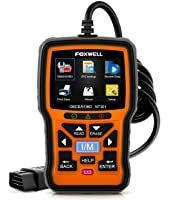 FOXWELL NT301 is a User-Friendly OBD2 Code Reader that offers Life-long Free Online Upgrade and Printing via PC. The red LED shows the existing faults while yellow LED indicates the pending problems. Similarly, green means that there is no existing fault. It takes 6 seconds for the scanner to retrieve the car’s VIN code and the parameters of the car. FOXWELL NT301 plays the role of an early warning system that helps keep the car in a good condition. It supports data logging feature and has the ability to record and review log. It is able to read enhanced data. This OBD2 scanner can quickly read and erase DTC. The reason behind the CEL can be determined. This scanner can only be updated on a Windows system. It can only work on OBDII systems. It can’t work on ABS/airbag/oil service light, etc. There is no need for a battery since it is charged directly from the OBDII car scanner interface in your vehicle. Thus, it is extremely convenient for DIY-ers and home mechanics.But it is more complicated than what an amateur mechanic could figure out. The Ancel AD410 is a low-cost and accurate scanner, which makes it the perfect car code reader for beginners and ordinary car owners. Primarily as an OBD2 scan tool, the Ancel AD410 is meant to cover most vehicles made from 1996 to date. It works on most OBD2 compliant vehicles sold in the USA, whether they are locally made or foreign. ANCEL AD410 is a handy scanner for the basic diagnostic functions. The affordable OBD2 Scanner can read and clear engine codes. Additionally, it can trigger the O2 sensor and EVAP sensor tests. Despite the limited functionality, the Ancel AD410 does display live data from a vehicle’s engine system. Compatible with a wide variety of OBD2 vehicles. A multilingual menu consisting of English, French, Spanish, German, Russian etc. The Ancel AD410 is a low-cost and accurate scanner, which makes it one of the best car code readers for beginners and ordinary car owners. It’s nowhere near as great as professional diagnostic tools but it will help you turn the Check Engine Light off and run emission tests. Autel AL319 OBD2 code scanner works on all vehicles from 1996 onwards (OBD II & CAN). Autel Al319 is exactly the best OBDII scanner to be used for basic diagnostic purposes. It supports various functions and helps diagnose and solve problems quickly. AL319 is an amazing OBD2 scanner which helps to turn off Check Engine Light (CEL/MIL), clear DTV codes and reset monitors. It also displays monitor andI/M readiness status. With Autel Al319, you can easily retrievevehicle information (VIN, CIN, and CVN). Autel AL319 is an amazing OBD2 scanner which can turn off the CEL, read and clear codes and reset monitors, etc. It has the unique One-Click I/M Readiness Key. It doesn’t need any batteries or charger. OBDII Data Link Connector supplies power to this tool. There is a built-in speaker and brightly colored LEDs. They are helpful in readiness verification both visually and audibly. There is a one year warranty on this device. The 2-inch color screen with its bright graphics. It cannot display live operating data. 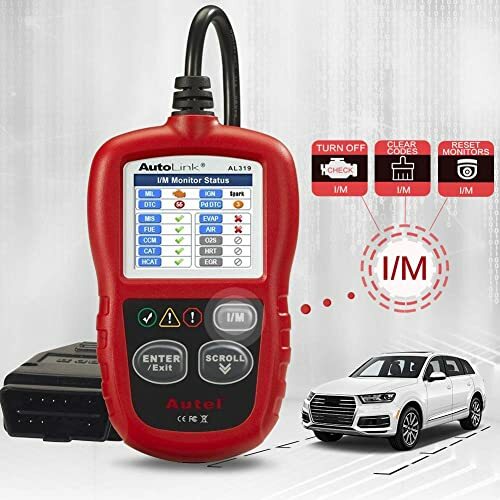 If you want to save money while diagnosing problems with your car, then Autel AL319 is the best cheap OBD2 Scanner you should take. It found car’s faults like a charm, erased them and turned off the MIL. Despite the few flaws, the JDiag JD101 is overall a great entry-level OBD2 scanner for money. It is particularly good value for ordinary car owners and beginners. The JDiag JD101 costs less than what you will pay just to get a diagnostic report from the shop. It really is the definition of a budget OBD2 scanner. This car code reader can work on most 1996 and newer US-based as well as 2000 and newer EU & Asian-made vehicles. The JDiag JD101 is an excellent scan tool for reading engine codes. This cheap OBD2 scan tool actually provides very accurate diagnostic data. You can totally rely on it whenever your Check Engine Light comes on. It can also run I/M readiness and battery tests, which will help you keep the vehicle in a very good condition. This affordable OBD2 scan tool has a live data mode that lets you know the status of your battery, voltage and calibration ID. You can also view freeze frame data and the vehicle’s information (VIN, CIN, and CVN). A multilingual menu that includes English, Germany, Spanish, French, Russian etc. It also didn’t come with a USB cable (for updating). Despite the few flaws, the JDiag JD101 is overall one of the best cheap OBD2 Scanners. It is particularly good value for ordinary car owners and beginners. You won’t spend much on it but it offers just enough functions to diagnose the Check Engine Light, test emissions and retrieve a vehicle’s info. 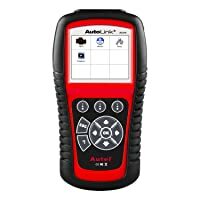 Autel Autolink AL519 is a hand-held diagnostic tool for cars that offers many functionalities and is a good for DIYers. With this Autel scan tool, you can perform component tests, O2 sensor tests etc. Why Choose Autel Al519 auto diagnostic tool? Autel AL519 offers reading and clearing codes, live data, I/M status, o2 monitor test, component test, displays vehicle information, freeze frame data, on-board monitor test, and module information. Autel AL519 makes the diagnosis easier with full of OBD II Diagnostics. This automobile diagnostic tool displays code along with the definition of the cause. This eliminates the need to Google the problem. Hence your time is saved, making it the best car diagnostic tool. Takes only 10 seconds to boot. The rubber casing may make it difficult to connect the device. Notifications stay for 3 seconds only. Registration can be an issue/Doesn’t update. This Autel scan tool is good for car owners who want their obd2 readers to perform quickly. It’s the best car diagnostic tool due to the ease it offers. The scanner works for any 1996 and newer OBD2 cars, light truck, SUVs, and hybrids. A simple and affordable OBD2 scan tool, the INNOVA 3100j allows you to diagnose your car’s problems. It accesses onboard systems safely and reads codes. Innova 3100j ABS SRS EVAP OBD2 Scanner fits your palm well, which ensures the Ease of Use. With the help of Innova 3100j works for any 1996 and newer OBD2 cars, light trucks, SUVs, and hybrids. Can read and clear ABS & SRS DTC codes. Can check the vehicle’s charging system. The oil reset feature is never easy like that with the step-by-step reset procedures. This scanner is designed with easy handheld and easy to operate. It is suitable for DIYersand average car owners. This OBD2 scanner diagnoses ABS/ SRS system codes on most 1996. Autel MaxiLink ML619 OBD2 scanne is a good OBD2 scanner for reading and clearing faults on ABS and airbag systems. Moreover, it is perfect for performing OBDII diagnostics too. With the help of Autel MaxiLink ML619, you can find the cause of the Check Engine light and then work on it. 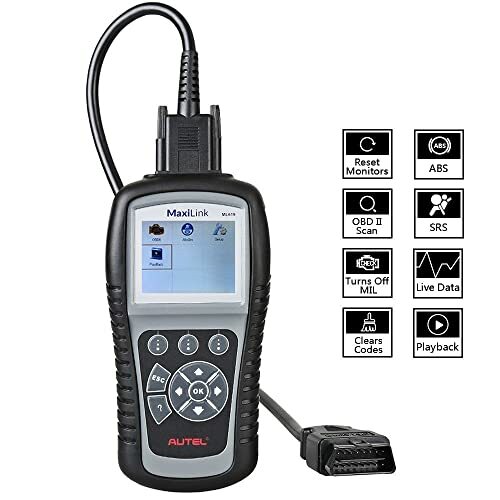 Autel MaxiLink ML619 offers a variety of Functions not many OBD2 Scan Tool at this price range can. This OBD2 scanner diagnoses ABS/ SRS system codes on most 1996. It also works on newer major vehicle models including GM, Ford, Chrysler, Volvo, VW, Mercedes, BMW, etc. It helps to turn off the CEL and ABS/SRS warning lights. can be updated and upgraded using the Internet. It doesn’t work for electric cars which can be a nuisance in itself. If you have a vehicle model compatible with this OBDII scan tool and you don’t want to spend too much, then the ML619 is a good choice. This reader works on over 40 1996 US-based, 2000 European-based and newer OBD2/EOBD protocol vehicles. Launch CRP129 offers all the basic functions for most needs. It makes the analysis of diagnostic information relatively easy while you are repairing and adjusting the vehicle. This reader works on most OBD2 US-based vehicles. Launch CRP129 cannot work on diesel trucks but can work for some 12v diesel vehicles. 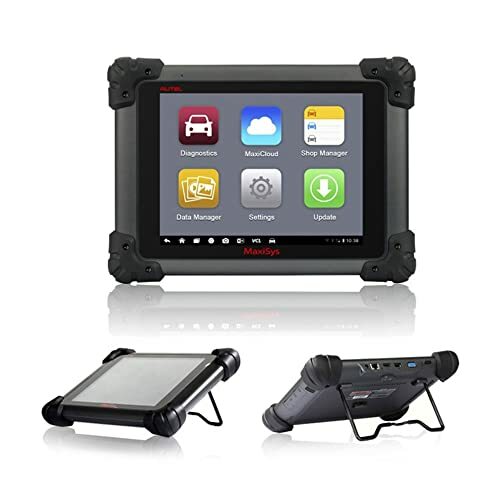 This is an automotive Diagnostic Tool for mechanics and professionals. It can diagnose tens of vehicles within an hour, though that depends on your activeness. Autel MaxiCOM MK808OBD2 Diagnostic Tool is ideal for professionals. It is multi-functional and works efficiently, helping you save time. Autel MaxiCOM MK808 has a large variety of functions available. These include oil reset and EPB/BMS/SAS/ DPF. All these are very important and useful for the safe and efficient maintenance of systems. Since this OBDII scan tool is equipped with built-in batteries, you don’t have to install batteries. The MK808 started to communicate with cars automatically and recognized it too. Autel MK808 is a tablet diagnostic scanner with 7” touchable screen and enables sensitive response with the fast quad-core process. Moreover, with a Wi-Fi connection, there is no USB or card reader needed for updating the software. You get a one-year warranty and 12-months free update period too. MaxiCOM MK808 works on most 1996 US-based, 2000 EU-based and newer vehicles. It performs the full system’s diagnosis including reading and clearing of the codes and viewing live data. It can check the health status of various vehicle parts. The buttons are designed at the edge of the device. It is well laid out for easy navigation. The touchscreen can also give you a quick response. This MK808 does not need to be connected to a computer to display information. It isn’t the fastest to scan and connect. If a module doesn’t connect or return a signal, it will return a misdiagnosis. It is an OBDII scanner for professional car enthusiasts, and it is not a gadget to be kept at home. Rather, it is designed for professionals and is mostly used in car repair shops. Launch X431 Creader 3001 is one of the best OBD2 scanners because it supports almost all vehicles that are manufactured in or after 1996. It supports all 5 major protocols as well. Launch X431 Creader 3001 can both read and clear codes while also explaining the code. It can perform a variety of tests including O2, EVAP, and on-board monitor test. This product is a plug and play device suitable for beginners because it is a breeze to use with no complicated controls or features. You can diagnose your car and determine the cause of MIL and turn it off. This OBDII scanner will read trouble codes related to your car’s evaporative emission control system and tell you if something’s wrong with it. Which can detect issues such as leaks and temperature issues. Auto code readers in this price range hardly offer lots of features but this one does. Launch X431 Creader 3001 offers features such as freeze frame, I/M readiness, DTC lookup, live data, and O2 sensor test. Moreover, it can also read vehicle information. Launch X431 Creader 3001 is easy to use. This OBD2 code reader is quite easy to use. Because it has four buttons help you scroll through options, enter or exit a feature. The size is portable, therefore, you won’t face any issues travelling with it or keeping it plugged into your car. This is one of the best OBD2 scanners because it supports almost all vehicles that are manufactured in or after 1996. It supports all 5 major protocols as well. No charger or battery needed as it powers on when plugged into the OBD2 port. 2-year warranty and 100% money back guarantee. Not require any software upgrade to connect. It supports both OBDI and OBDII cars (obd1 cable needs to be bought separately). The cable is 2.5 feet and properly insulated. Launch X431 Creader 3001 is an excellent obd ii scan tool that can perform a variety of basic OBD2 functions. Therefore, it is suitable for beginners who want to handle small problems on their own. 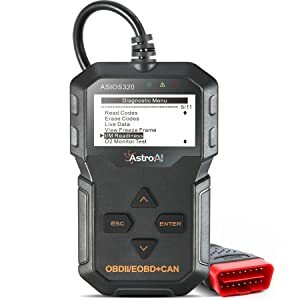 AstroAI is one of the best cheap OBD2 scanners could help turn off CEL, freeze frame, show live data, etc…offers quick diagnosis and is easy to use. AstroAI is one of the best car code readers because of the amazing speed it offers. With this one, you will not only save money but time as well since it works quickly. This tool can both read and clear codes, and shows one out of 3 LED lights. It only takes 5 seconds for this OBDii scan tool to check for misfires, problem in the fuel system, etc. Moreover, it also explains the code making it easier for you to find a solution to the problem. This is one of the best features of an auto code scanner because you don’t have to do extra searching on the web to determine what the error code means. AstroAI OS320 is a rapid diagnosis scanner. AstroAI OS320 is quite easy to use as there are 4 buttons that help you navigate, exit and enter features. Freeze frame, live PCM data stream, O2 test, EVAP test, on board monitoring and I/M readiness are some other features this obd scanner offers. The scanner is easy to update. You can do it with the help of a computer by connecting it with a USB cable. US, European and Asian cars that are 1996 or newer models with OBD2 system are supported. It supports all major protocols and offers several languages including English and Spanish. Long cable – 3.18 feet. It supports 12V gasoline cars as well. The scanner shows live engine performance as you drive. No lags when switching between screens and navigating the menu. The font on the screen are small hence can be hard to read at times. Car owners who are keen on diagnosing problems and finding simple problems on their own can turn to this scanner. This one of the best cheap OBD2 scanners offers quick diagnosis and is easy to use. It can help turn off CEL, freeze frame, show live data, etc. It’s an excellent corded scanner for beginners as it can cater to many small problems and help clear the code once it is fixed. What makes FOXWELL NT201 one of the best OBD2 scanners on the market is its ability to offer almost all the basic functions. Apart from that, this auto code scanner also supports OBD2, eobd, jobd and CAN cars including trucks, SUVs and minivans. 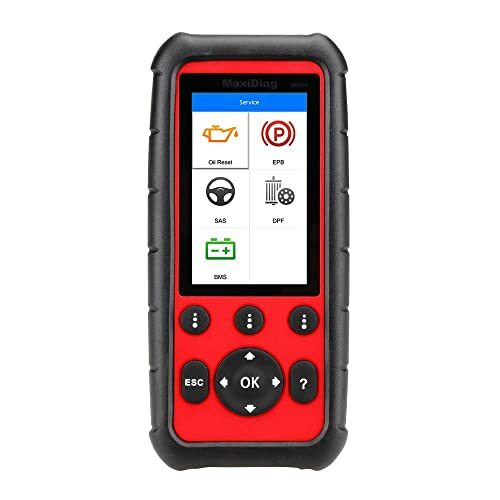 This OBD2 scan tool can read and erase codes, show I/M readiness status, display live data while driving, turn of CEL, smog test, O2 sensor, EVAP, CVN, and show Freeze Frame Data. You can also determine the cause of a trouble code by looking it up in the DTC library, On-board Monitor Test, DTC Lookup. 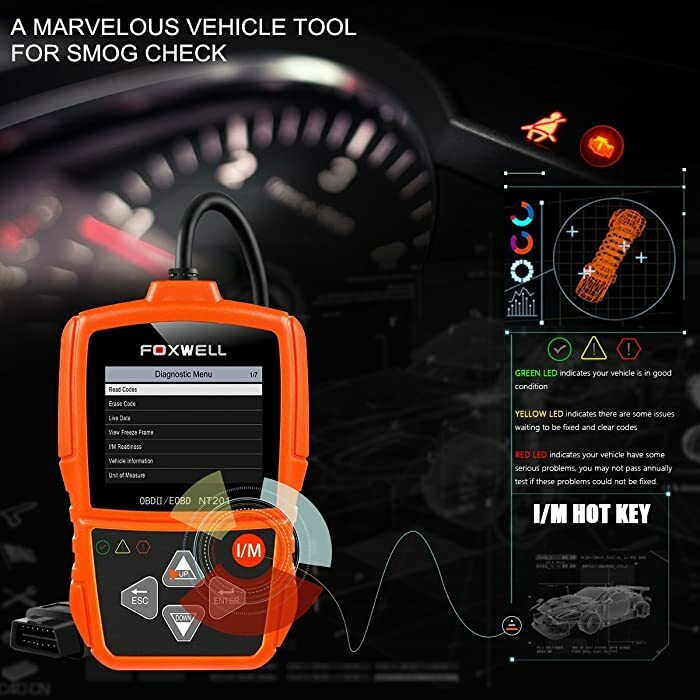 FOXWELL NT201 is the best tool for checking smog. To make it easier for you to understand, this scanner offers 3 LED indicators: green, red and yellow. These lights help you judge the condition of the vehicle. Ease of use makes it one of the best car scanners on the market. All you need to do is connect it to the DLC socket and it powers on. FOXWELL NT201 comes with a built-in speaker and the 2.4’ screen is also large enough. This scanner supports OBD2/EOBD/JOBD, CAN, and the 5 major OBD2 protocols as well. It works on all cars that are built in or after 1996. Updating the software is easy. DIYers, beginners, and car enthusiasts can use this budget OBD2 scanner. It offers a variety of basic functionalities including MIL, freeze frame. If you want an OBD2 scan tool that can do a bit more than beginner scanners then Innova 3040e is a good choice. Besides offering almost all basic features, it lets you check for ABS codes and oil reset as well. This obdII scanner is able to read and clear check engine light and check for problems in the ABS system in domestic vehicles as well such as Honda, Toyota, Chrysler, GM, and Ford. Innova 3040e can help keep your car well maintained by signaling you when it’s time to change the oil. It displays real time live data as you are driving the car so that you can determine if the engine is running smoothly or not. Graphical representation of data makes it easy to understand the information. Hence, you will not have much of a difficulty in using this device. Innova 3040e is the professional scanner with many great features. In addition to this, it also lets you check the performance of the battery in the car, freeze frame, I/M readiness, EVAP codes, etc which makes it one of the best car scanners out there.. The LCD screen of this auto code reader is large and well-lit to be used in dark conditions as well. Anyone who is new at using a scanner will find no issues using its user friendly interface. Innova 3040e supports all domestic and a wide range of foreign 1996 and newer models. Moreover, hybrid, SUVs and light trucks are also supported. The software can be updated by connecting it to a PC. However, MAC is not supported. Lifetime free software updates through NT Wonder without needing registration. The built-in code library makes it easy to find code details. Remembers vehicle info once it reads it and can also store codes. Short cord – less than 2 feet. A bit heavier at 1.1 pounds. Autel AutoLink AL539B is a perfect OBD2 reader for mechanics and people who want to perform battery tests and other OBD2 features such as turning off CEL, freeze frame. Autel AL539B is among the best OBD2 scanners when it comes to testing voltage/current, testing the battery to keep it well maintained. It has an avometer that helps run a battery test and tell you if it’s in good or bad condition. This can help you decide if the battery needs a replacement or not. Other than that, this OBD2 reader offers a complete diagnosis as it supports all 10 OBD2 modes and many other features as well including read and clear codes, freeze frame, on board monitor test, O2 sensor test, system test, starting test, charging test, circuit test, and one click I/M readiness option. Autel AL529B is a good ideal for testing battery. The DTC lookup displays code explanation so that you know what the problem is and how to fix it. This OBD2 scanner supports all Asian, US, and European OBD2 and CAN vehicles that are manufactured in 1996 or after. 1-year of warranty with amazing customer support. Built in multimeter and battery tester. Alarms a beep in continuity testing mode if the current is lower than 50 ohms. Current mode lets you check current between 20A to 200A. Heavier than most other scanners with a weight of 4 pounds. 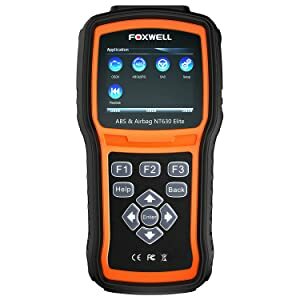 FOXWELL NT630 Elite is suitable for DIYers, mechanics,and even professionals who want to find faults in the ABS,SRS and SAS systems. 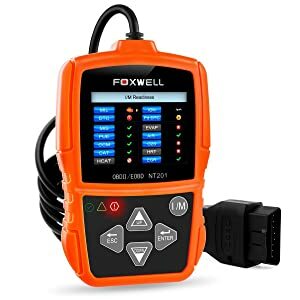 The Foxwell NT630 Elite scanner is a powerful OBD2 scan tool preferred by many DIYers and mechanics for its quick diagnosis and ability to read and clear ABS/SRS codes. 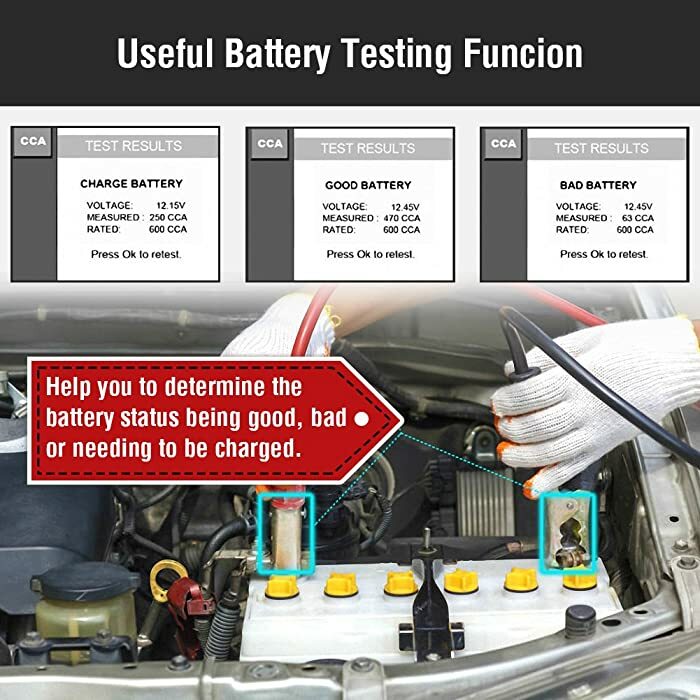 One of the best things about this car computer reader is it capability to perform tests related to electric components. You can perform tests on sensors, relays, actuators, and switches too. This car scanner tool shows live data, reads and turns off check engine light, and also recognizes a vehicle once it scans it. Moreover, it also offers other tests like freeze frame, O2 sensor test, I/M readiness, on board monitor test, and component test. 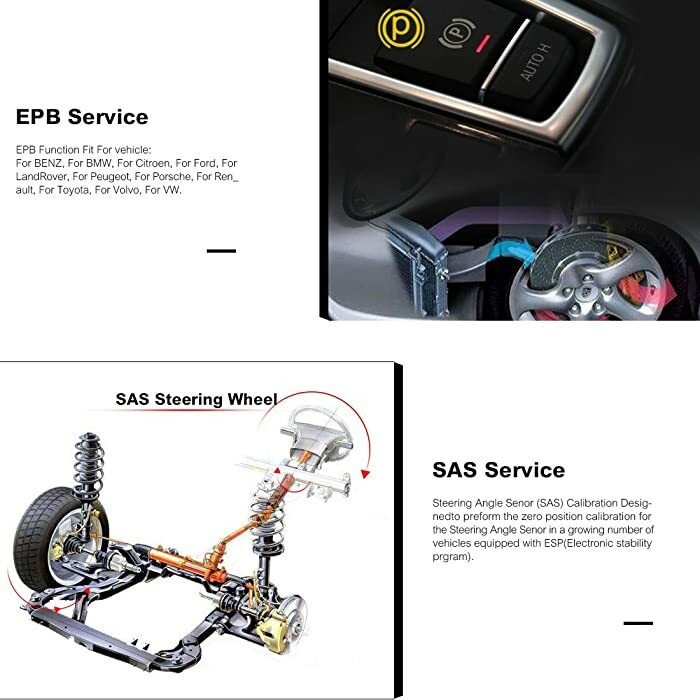 It lets you reset airbag system, anti-braking lock system and also help you calibrate SAS (steering wheel angle sensor). These functions are supported in almost 52 car brands which is a huge plus. Foxwell NT630 Elise help you check engine drive system, ABS bleeding and so on. With this car scanner tool, you can perform bidirectional tests as well. These include automated test, brake bleed preparation test, ABS manual control tests, actuator test, auto bleed test, function test, gear tension relief test, hydraulic control test, ABS motor test, ABS version test, idle up manual control test, lamp test, motor home test and pump motor test. It supports all 1996 and newer OBD2 compliant models. However, ABS/SRS system might not work on a few cars that are manufactured before 2000. The casing can withstand wear and tear. Doesn’t read the transmission system. 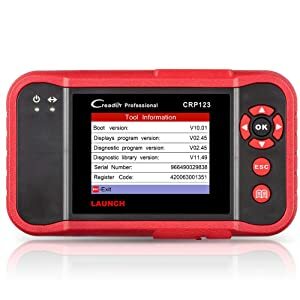 Launch Creader CRP123 is an amazing car computer reader as it lets you diagnose engine, ABS, SRS, and transmission system for trouble codes. 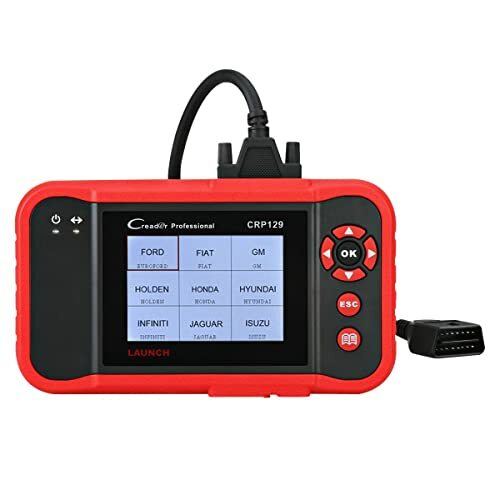 Launch Creader CRP123 is an amazing car computer reader as it lets you diagnose engine, ABS, SRS, and transmission system for trouble codes. Thus, there are many consider it one of the best code readers for car. It can auto detect a vehicle and perform auto module search as it’s able to recognize cars. The scanner supports all 10 OBD2 modes and offers advanced mode 6 as well. Some of the features you’ll find on the scan tool include freeze frame, VIN, CIN, CVN, turn of CEL, I/M readiness, DTC lookup, record data, and replay data. Moreover, it can help you find ABS/SRS/transmission and engine related fault codes. This is a good choice for mechanics and DIYers. The size of the scanner may intimidate some users as it’s a tablet scanner and typically needs to be held in both hand. However, you can also keep it beside you and operate it from one hand as all the buttons are on the right side. It supports all 1996 and newer models that are OBD2 compliant.In addition, it also supports all the major OBD2 protocols. The cord is long enough to keep the scanner on the seat and operate it. Retrieves current and pending codes. Can be connected to a PC with a USB cable to update and print data. The process of registering on the website is difficult. Hybrid systems are not supported. 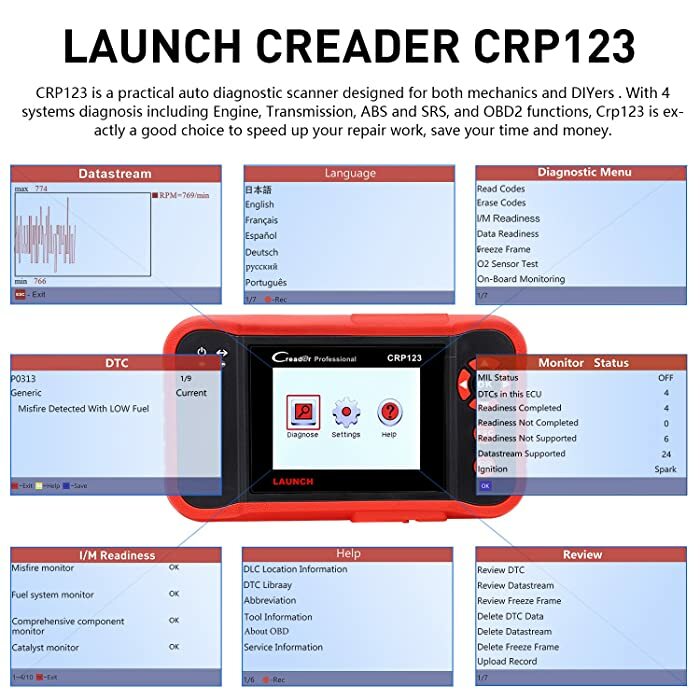 Launch Creader CRP123 is definitely a suitable fit for professional, DIYers, and car owners who have a bit of knowledge regarding the 4 systems (ABS, SRS, Transmission and Engine). If you are looking for the a best code reader for car then this is a good option. This OBD2 scanner is for professionals and mechanics as it offers many advanced features and can deal with complex fault codes that occur in the car. If you want a professional scanner that can perform many advanced functionalities,Autel MaxiCheck Pro OBD2 can be an excellent choice. 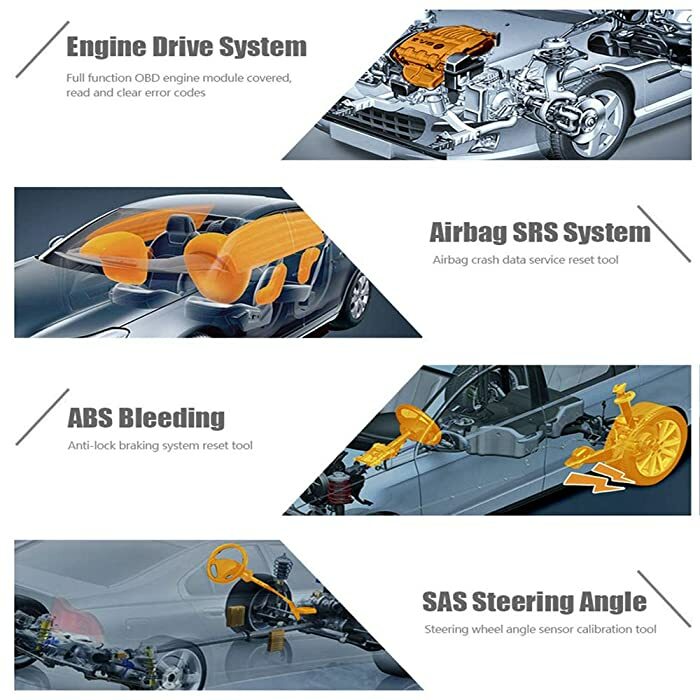 It lets you read and clear codes related to ABS/SRS system so that the airbag system and anti-lock braking system in your car works like a charm. The scanner also provides the oil reset light codes and lets you reset it once you have corrected the fault or resetted oil in the engine. 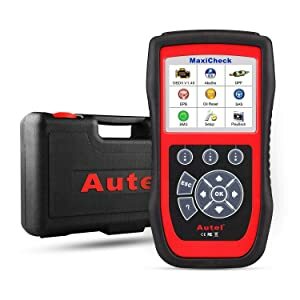 Autel MaxiCheck Pro OBD2 can find faults in the electronic parking brake system as well and display an explanation of the cause, too. You can diagnose for faults in the diesel particulate filter system as well.Besides, it also passes a code if there’s something wrong in the exhaust system of the car. Autel Maxi Pro helps you find out the trouble of EPB and SAS. The scanner also allows you to perform battery management tests to ensure it runs smoothly. So, it can help you keep the battery well-maintained. This OBD2 scan tool offers many other basic features as well such as freeze frame, turn off CEL, etc. It supports all OBD2 compliant vehicles made in or after 1996. Supports EBC and SBC functionality. SD card can be inserted to expand memory. Free to update by connecting to a PC. Works very quick and shows live data within seconds. Doesn’t check miles per gallon. In the review above, we have discussed the features and the pros and cons of the best OBD2 scanners in the market today. If you’re an ordinary car owner and want to turn off the Check Engine Light, take Autel Al319. We would recommend Ancel AD410 and Bluedriver to average car owners and DIYers. For Professional Mechanics, a diagnostic tool with full-system functions as Autel MK808 would suit you. You can compare the scanners and choose the one which tailors your needs and demands perfectly. Keep your car in perfect condition with the best OBDII scanners available! An OBD Scanner, either OBD1 or OBD2 Scanner, is a device used to diagnose your cars and tell you why the check engine light (CEL/MIL) is on. They also help turn off the CEL and perform complicated functions. They’re designed to help save time and money and are used not only by professionals but by car owners as well. 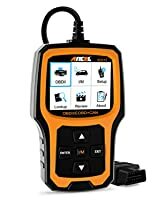 This Complete Buying Guide includes all you need to know before buying an OBD Scanners such as Types of OBD scanners, Best Brands of OBD Scanners, OBD Scanners for Vehicle Brands, etc. What Is An OBD Scanner? An OBD scanner tells the car owner or the mechanic regarding the status of the car’s subsystems and if something is wrong with the car. This might include MIL (malfunction indicator light), trouble codes, and other malfunctions with the car. There are built-in sensors in these scanners that help detect abnormalities in the car such as issues with transmission, engine oil, spark plugs, catalytic converter, airbags, SRS and so on. Why Do I Need An OBD Scanner? DIY: OBD scanners are like your personal automatic diagnostic assistants. Once connected, they diagnose your car for problems and tell you where and what the problem is. These mostly have dedicated apps and are run on smartphones thanks to Bluetooth connectivity. However, you may get some corded options, too. This way, you get to learn more about your car and fix car issues yourself. Save Money: An OBD scanner is very easy to use and with it, you can learn what is wrong with your car. Even if you’re not a professional at using OBD scanners and have little information about how a car works, you can still benefit from it. They display CEL lights along with a code. DIY and advanced scanners will provide an explanation along with the code as well to let you know the exact problem. This way, you can rear codes, view basic PIDs yourself and save money. What If I’m A Mechanic? As mentioned earlier, OBD scanners are suitable for professionals as well. If you’re a mechanic then advanced OBD scanners are best for you. They help you diagnose complex car problems such as EPB, DPF, key programming etc. They’ll help you save time and serve more clients. Should I take an OBD1 or OBD2 Scanner? 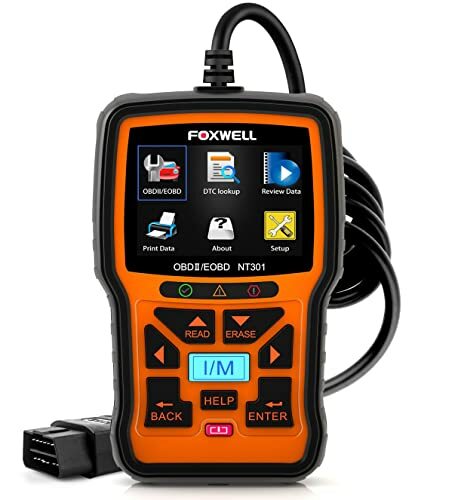 FOXWELL NT301 is one of your first considerations when choosing an OBD2 scanner. You usually have two options to pick from OBD1 scanners and OBD2 scanners. OBD2 scanners: should be your first priority as they have better performance as they support modern cars, released in and after 1996. Note: Choose the type of scanner that is compliant with your car. - Some trucks and electric cars manufactured in and after 1996 Cars manufactured before the year 1996 won’t support obd2 scanners but obd1 scanners. - Some new trucks are also obd1 supported. Features - Clear and read error codes, perform smog tests, graphs, customization etc. - Advanced obd2 scanners can perform key programming, actuator tests, DPF, EPB, SRS, SAS, etc. - Check shorts in actuators and sensors. Connectivity Corded/Bluetooth/Smartphone operable Only corded. Standard Federal Standard (Standardised to support modern cars) - California Standard. - Works on outdated standards. Interface Universal specific (a single scanner is compatible with many car brands) Manufacturer specific (compatibility issues are at large). What are the Types of OBD2 Scanners? What can they do? It depends on your needs. Here’s a rundown of some scanners with basic, DIY and advanced features and what they do. Ancel AD410 is among the best basic code readers. Basic code readers are budget-friendly and they let you perform basic features such as reading and clearing CEL, performing smog test etc. There are some basic code readers that offer Bluetooth connectivity as well, so that’s a plus. DTC: Shows generic or specific manufacturer codes. The issue in a vehicle is explained in this code. MIL: Shows code for the blinking dash light. Smog: Inspects car’s exhaust system. Freeze Frame: Stores data related to faults in the emission system. Bluedriver offers basic features and a few advanced ones too. DIY scanners come somewhere between basic code readers and professional scanners. They offer basic features and a few advanced ones too such as check and clear ABS, SRS, oil service light reset, etc. Speed: They are much faster than basic OBD2 readers and offers Bluetooth connectivity as well. Fuel: DIY scanners let you perform fuel tests. Pressure: Some DIYers let you check the pressure levels in the engine. Graphs: These scanners offer a graphical presentation of data. Digital Display: Most of the DIY scanners show results on the digital display. Dashboard customization: Some DIY scanners let you customize the features on the scanner and put the most used features on the dashboard to save time. Data export: Some DIY scanners can be connected to a computer with a cable to export data while some allow to send it directly from WiFi. Advanced Features: Not all but some DIY scanners let you read and clear ABS (anti-lock braking system) and SRS (lets you know if the airbag system is working or not). Autel Maxisys Pro MS908P will let you perform advanced functionalities such as EPB, DPF, TPMS, key programming, SAS etc. This type of scanner will let you perform advanced functionalities such as EPB, DPF, TPMS, key programming, SAS etc. These can be a bit expensive but they are worth it if you want to check and solve complex problems yourself. In fact, many mechanics also use professional diagnostic tools. EPB: Reads, clears and offers electronic park braking on flat roads. DPF: shows errors in the DPF system (removes soot from exhaust system). Oil Reset: Reminds you to change the oil when required. BMS: Shows all the information related to the battery management system. ABS: Reads and clears anti-lock braking system problems. Key Programming: Used for enhancing car security by serving as a code that starts the engine. TPMS: monitors air pressure in the tires. ECU Coding/Programming: Helps control engine and transmission by storing a ROM file in the engine’s management ECU. Do I Really Need An OBD2 Scanner With Advanced Functions? 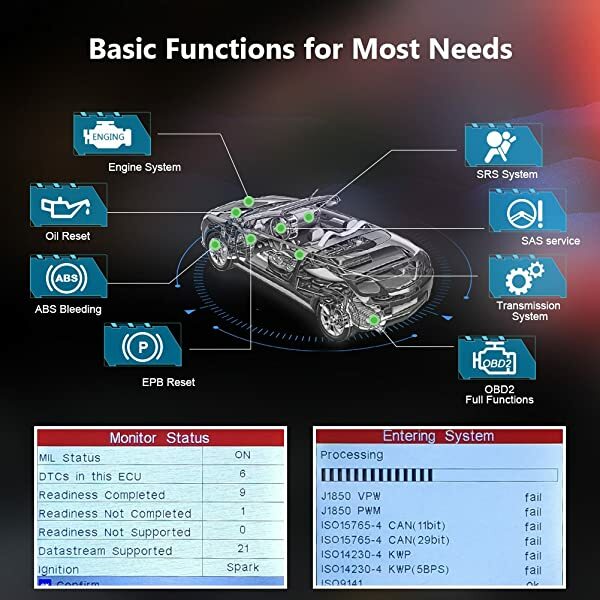 If you do not have an in-depth knowledge of how a car works and how to solve complex problems then an automotive diagnostic tool with advanced features isn’t necessary. Most of the codes mentioned will be out of your grasp and eventually, you’ll need a mechanic’s help. However, if you are a professional or a mechanic, take one. Infographic: How to choose the Best OBD2 Scanner? The INFOGRAPHIC below is a simple guide that tells you things to consider when picking an OBDII scanner. INFOGRAPHIC: How To Choose The Best Car Diagnostic Scanner? Should I Take Corded Or Bluetooth OBD2 Scanner? Corded scanners are fast and more reliable because they do not require any phone connectivity. In fact, they have their own interface which is quite easy to use. Corded scanners are often disliked by users because the cord is frustrating and hard to handle. If you pick a corded one then go for an option that has a long cord so you can keep it in your lap. On the other hand, Bluetooth scanners are much more convenient as they operate wirelessly, from a phone. Make sure to pick a Bluetooth scanner that supports the platform (Android, Windows or iOS) that your phone uses. It’s usually a personal decision. There isn’t much difference in price and performance. It depends upon the scanner’s ability to remain connected for longer and doesn’t lose connection. Moreover, you can also opt for a Bluetooth scanner that supports all the mobile platforms including Android, Windows, and iPhone. Let’s have a look at the differences in detail through this chart. Mobility Better mobility because you can control the scanner from the backseat of the car, from outside the car etc. Limited mobility. Corded scanners offer mobility as much as the cord length. Speed Not be as fast as the corded scanners because they need to establish a Bluetooth connection first, which can be weaker and it might affect the speed. Fast and reliable because they have their own interface and do not require any external connectivity. Price Range Most Bluetooth OBD2 Scanners are cheap (Under $100). Available in a wide range of price depending on what features they are providing. Apps Require an app to work. Do not require any external software or app to run. How about Bluetooth Adapters For iOS, Android, and Windows Devices? Each Bluetooth adapter is compatible with several OBD2 Apps while an app can work on more than one adapter. Therefore, it’s critical to choose the right app for your devices. Are There Any OBD2 Scan Tools For A Specific Car Make Or A Group Of Vehicles? Yes, there are. If you are frustrated with your current OBD2 scanner failing to diagnose your car perfectly then it might have some manufacturer specific compatibility issues. You will need to get an OBD2 scanner made for a specific car. Do some research before picking one. It’s hard for non-specific OBD2 scanners to match BMW configuration. You will need a BMW specific OBD2 scanner, specifically FOXWELL NT510, to diagnose a BMW. 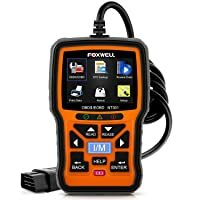 FOXWELL NT510 BMW Scan Tool (Supports BMW models from 1987 to date): Battery registration, brake deactivation, EPB, oil reset, oil light information, ASR, SAS, and ABS. 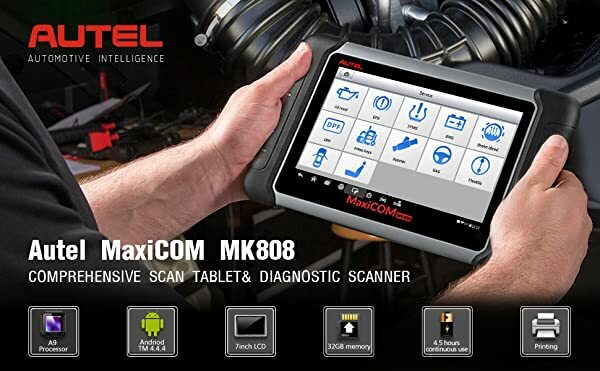 MAOZUA V7.7 Creator C310+ BMW Scan Tool (supports BMW series 1,3,5,6,7,8, X, Z and mini): Engine oil reset, read and clear CEL, graph display, clear adaptation, live stream data, ABS, SRS, etc. Xtoool VAG401 is the best Audi Scan Tool. 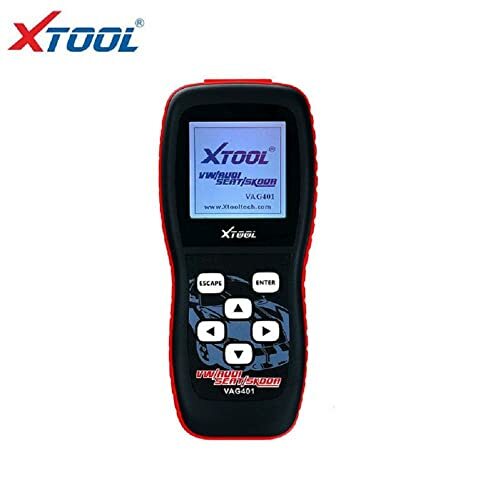 Xtool Vag401 (Supports Audi models from 1996 – 2016): Clean CEL codes, supports all OBD2 protocols, service oil reset, reset airbag codes, mileage reset, throttle adaptation. U281 OBD2 OBDII CAN Auto Scanner (Supports 1996 and later OBD2 compliant Audi European, Asian and US Models): Reads and clears DTCs, airbags, ABS, retrieves VIN and offers automatic transmission as well. 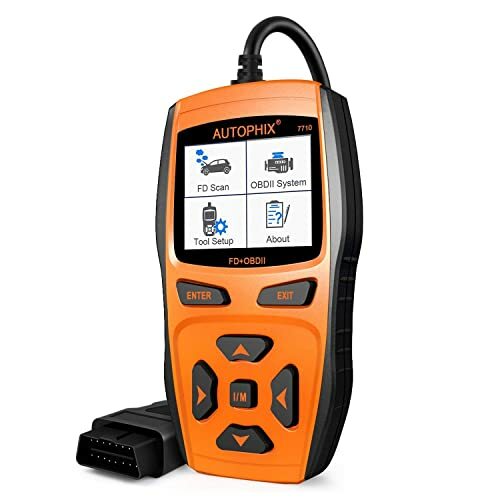 If you are a Ford owner or if you frequently find yourself having to work on a Ford vehicle, it may just be a better idea to get Autophix 7710 which designed specifically for that brand. These OBD scanners will support most of the Ford models. 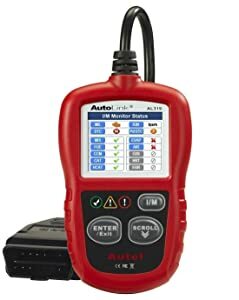 Autophix 7710 OBD2 Automotive Diagnostic Scanner (Supports all FORD models from 1996 to 2017): ABS, SRS, TCM, PCM, EPB, TPMS, DPF, intake air throttle valve, transmission, CEL reset and oil change injector. INNOVA 3145 Ford Digital OBD1 Code Reader (Supports OBD2 compatible FORD models before 1996)s: Transmission, CEL, code storage. The Xtool Vag401 has served a great deal for people that own an VW car. These OBD2 scanners are well known to support VW cars. Xtool VAG401 (Supports VW models from 1996 to 2016): Airbag reset, actuation tests, VIN, oil reset. AUTOPHIX V007 OBD2 Scan Tool for Volkswagen (supports all VW models that are OBD2 compliant): TP position check, oil reset, brake pad reset, ABS, airbags, transmission. 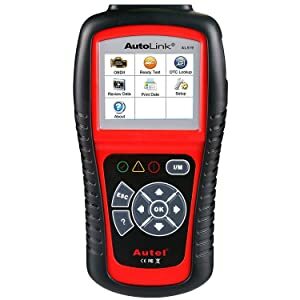 Autel Maxilink ML619 is one of the best Toyota scan tools that can deliver live data, read and clear Check Engine lights, or even help you fix your vehicles. These are some of the best Toyota scanners on the market. 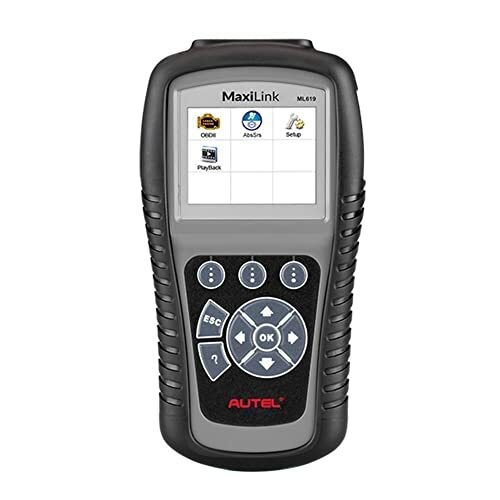 Autel Maxilink ML619 Auto Code Reader with special features: SRS, ABS. It is top-notch and time-saving. 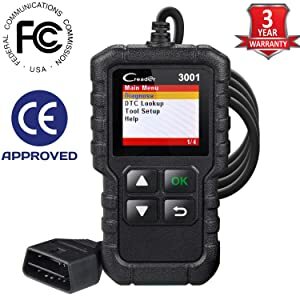 DIAGKING Toyota Techstream Diagnostic Cable Mini VCI J2534 OBD Scanner V2.0.4 for Toyota Lexus TIS Techstream (Updated Version): read and clear DTC engine codes, reset airbag. One of the highlighted scanners for GM vehicles is iCarsoft i900. One way of ensuring that the diagnosis of your GM vehicles is accurate and speedy is by using a dedicated scan tool. GM is one of the leading brands of today. Here are some of the best OBD2 scanners for this make. iCarsoft i900 (supports all OBD2 compliant GM models): read and clear DTCs, show live data, full system diagnosis, PCM, freeze frame data. INNOVA 3123 GM OBD1 Code Reader (Supports all OBD1 compliant GM models): ABC and ECM. Here are some of the best truck and diesel heavy-duty scanners. 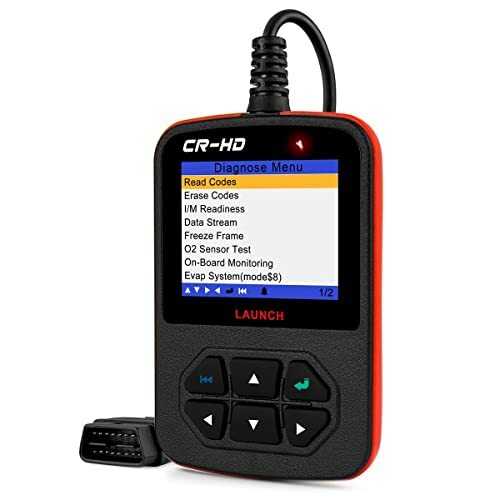 LAUNCH CReader HD Plus Heavy Duty Truck OBD2 Diagnostic Reader (Supports many OBD2 compliant trucks and diesel vehicles): I/M readiness, VIN, CIN, CVN, smog, CEL, reads and clears generic and manufacturer specific codes, DTC lookup, mode 6, battery status check. NEXAS NL102 Heavy Duty Truck Scan Tool: The hand-held reader can be used to Read /Clear codes/View live data in a text or graphics format for trucks. They provide two years warranty, so it is no risk to purchase it. What Are The Best OBD2 Scanner Brands? Below are the most popular OBD2 Scanner Brands and the Best OBD2 Scanners Reviews of each Brand available on OBD Advisor. 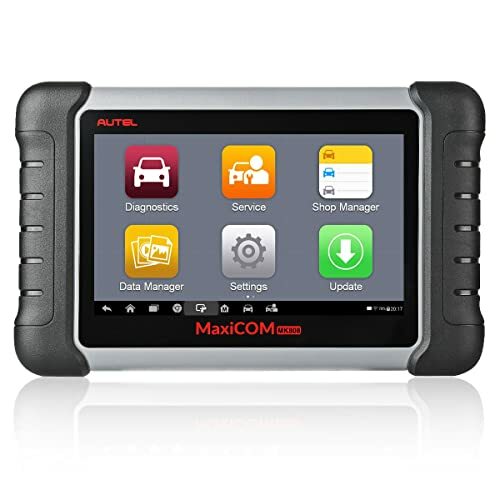 Autel MaxiDiag MD808 is a professional OBD2 scanner supporting all modern vehicles. When it comes to diagnostic tools, Autel is a well-known name. It has released a vast range of OBD2 scanners, professional scan tools like Maxidiag and many others. 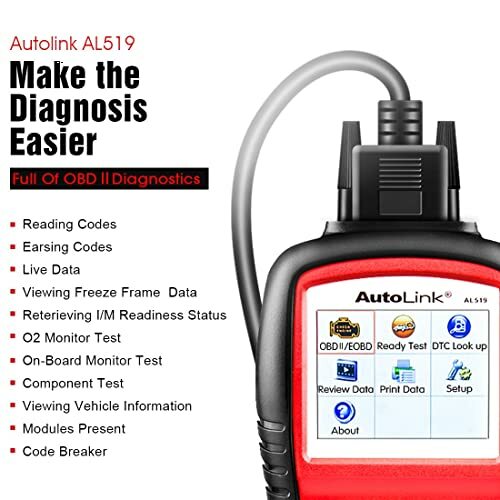 Autel AutoLink AL319: A basic, corded obd2 scanner that offers basic features such as CEL, freeze frame, Live PCM, VIN, CIN, CVN, I/m readiness etc. Autel MaxiDiag MD808: It’s a professional obd2 scanner supporting all modern vehicles. Apart from offering all basic features, it supports many advanced features, too, such as oil reset, parking brakes, ECU brake light, BMS, SAS, DPF, EPB and reset the battery. Bluedriver takes care of that with its cross-compatible scanner. 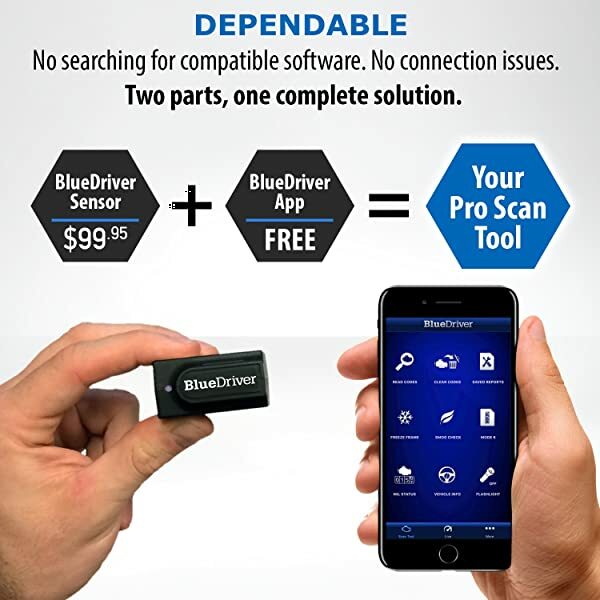 One of the biggest concerns faced by users when it comes to Bluetooth obd2 scanners is the mobile platform it will work on, Bluedriver takes care of that with its cross-compatible scanner. It turns your smartphone into a scanner. BlueDriver Bluetooth Professional: It offers many features such as CEL, RPM, fuel, pressure, graphs, dashboard customization, data exporting etc. It works on Bluetooth and supports both Android and iOS. The Launch has a ton of top products, and Launch CRP129 is one of their flagships. Another innovative and leading tech brand that deals in making some of the best obd2 scanners of all times. Launch Creader 4001: This corded scanner can read and erase DTCs, show live data, freeze frame data and show MIL codes as well. Launch CRP129: Apart from offering basic features, it offers advanced ones too such as SRS, SAS, OIL reset, ABS and EPB. 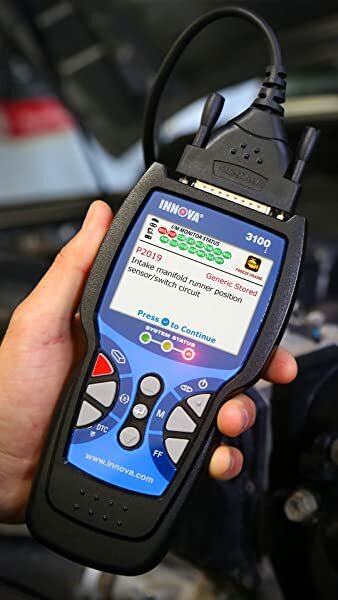 INNOVA is one of the few brands that is concerned with the environment’s health, and Innova 3150f Bluetooth Check Engine Code Reader Scan is one of their highlighted products. They make some of the Best Innova Scanners for cars. 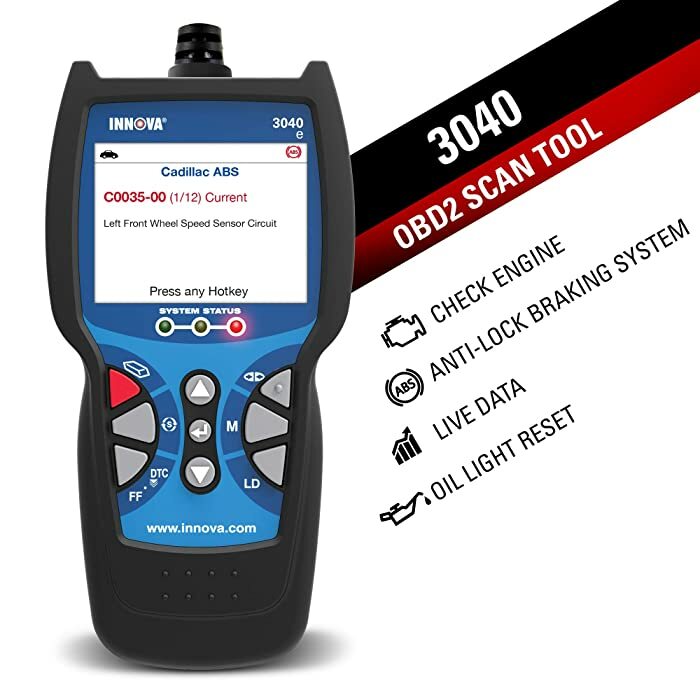 Innova 3040E ABS Scan Tool: This OBD2 Scanner can scan and read “Check Engine” light warning and ABS light trouble codes. Furthermore, the 3040 E can erase these trouble codes. You can reset the Oil Service light of all OBD2 vehicles manufactured in 1996 and newer. 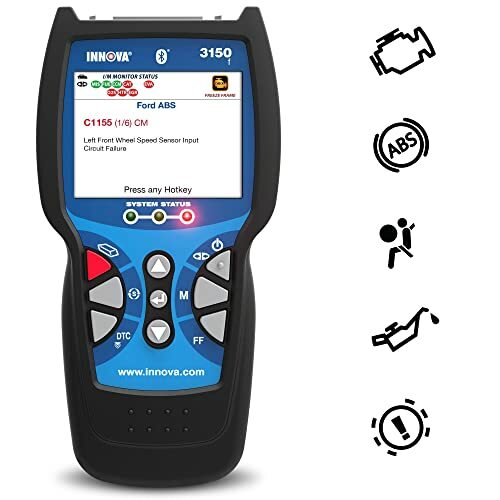 Innova 3150f Bluetooth Check Engine Code Reader Scan: One of the best obd2 scanners for people who are looking to perform both basic and advanced features. It offers features such as airbag problems, ABS, SAS, oil reset, battery initialization, and many basic features, too. If you’re a fan of FOXWELL, then FOXWELL NT301 will be the best choice for you! FOXWELL NT301: It lets you perform the O2 sensor test, fuel pressure test, reset monitors, CEL etc. 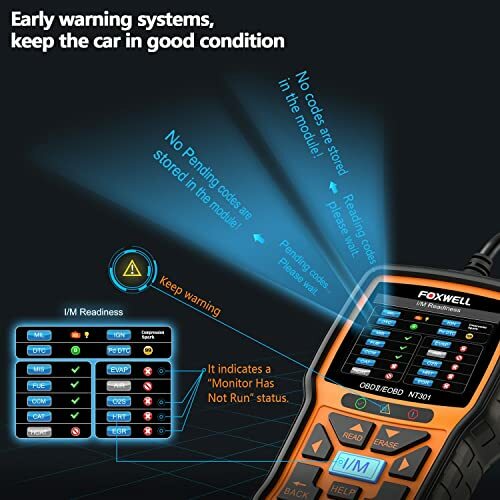 FOXWELL NT510 BMW Scan Tool: If you are looking for a more powerful Foxwell scanner then this one can let you perform oil reset, battery registration, brake deactivation, EPB, ASR, SAS, ABS, etc. 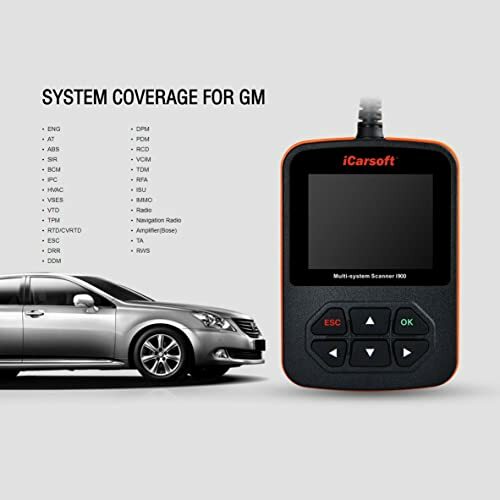 ANCEL is a new brand that deals in making a wide array of obd2 scanners. Specifically, Ancel AD310 is one of the most worth-trying scanners of this new branch. 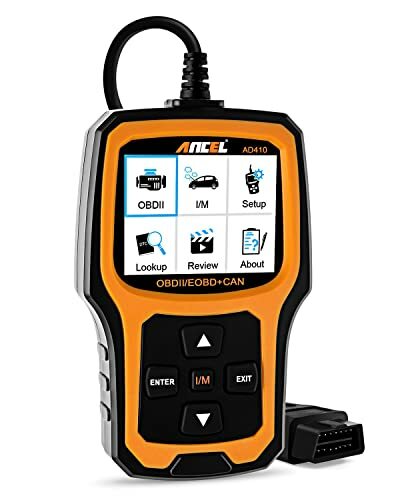 You’ll find many ANCEL OBD2 Scan Tools ranging from basic to advanced scanners that support most of the OBD2 compliant cars. 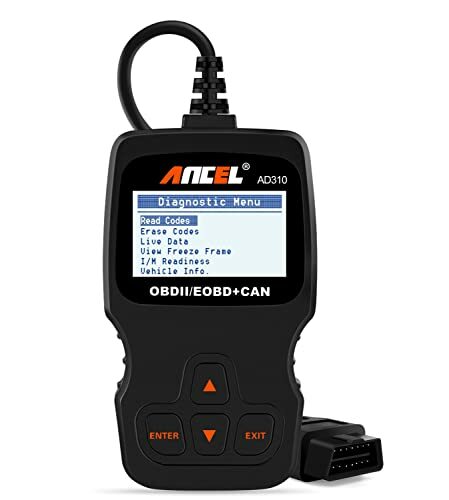 ANCEL AD310: This particular obd2 scanner lets you perform many basic features such as CEL, MIL, freeze frame data, o2 sensor test, and smog test. It’s a corded device and supports all obd2 compatible vehicles. ANCEL AD410: This one too offers all basic functionalities but with a few advanced features such as leak test, monitor fuel tanks. JDIAG is a new brand that has introduced many viable obd2 scanners so far, and The JDIAG 101 has caught quite some attention recently. The JDIAG 101 has caught quite some attention recently. 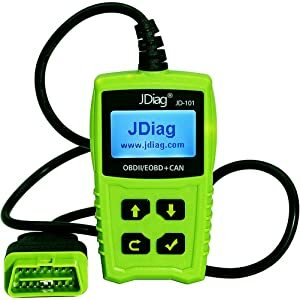 JDIAG 101: If you are looking for a good basic or DIYer obd2 scan tool then JDIAG 101 can be of great help. It offers many basic functionalities including I/M readiness, freeze frame, CEL, MIL, VIN, CIN, CVN, offers 7000 code definitions and lives data. Topdon TD300 is among the best TOPDON Scanners in the market today. 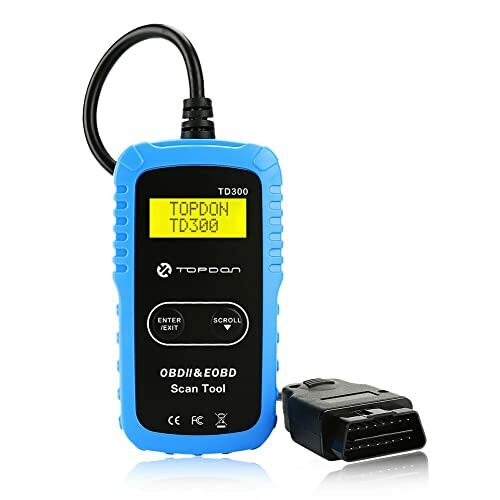 Topdon is a fairly new brand in the world of OBD scanners but it is giving a tough time to its rivals thanks to the superior quality we find in its products. Topdon TD300: A basic obd2 reader that lets you read and clear CEL, MIL, freeze frame data and retrieve VIN. Topdon OBD CAN Elite: Read and clear ABS/ SRS from 24 well-known car brands, free online updates for a year, supports many car protocols and offers almost all the basic functionalities. The VXDIAG VCX Nano line of scanners offers some of the best options for diagnostic products. VXDIAG has made quite a name for itself by manufacturing top quality products. 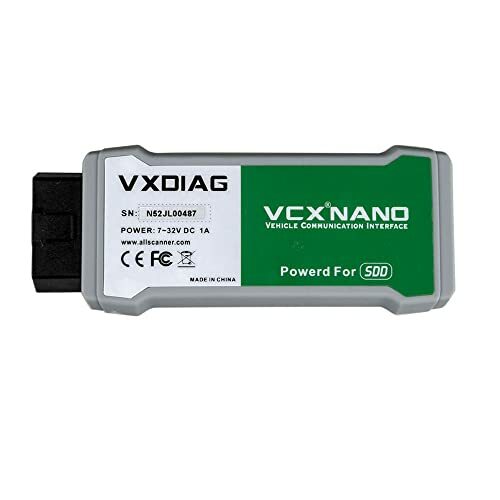 One of the best options of VXDIAG is VXDIAG VCX Nano JLR SDD Diagnostic Programming Tool. With this advanced tool, you can reprogram your car, diagnose trouble codes, perform active and utility tests, DPF, brake bleeding etc. Moreover, it also offers many basic features as well. OBDChecl BLE is one of the best scanners made by Veepeak. Veepeak is another OBD2 Brand that has excellent scan tools (Bluetooth and corded). 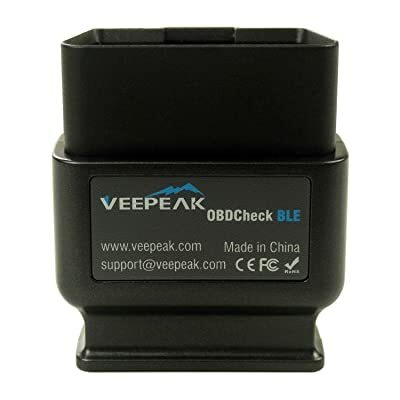 One of the best item made by Veepeak is Veepeak OBDCheck BLE OBD2 Bluetooth Scanner for iOS and Android. This scanner helps you understand why your check engine light is on or why other indicators are blinking. It also provides all kinds of useful information, such as live sensor readings and even whether your car will pass emissions. Which Protocol Is Supported By My Vehicle? Look for the OBD port under the glove department, dashboard, below the steering column or a few feet away from the car’s centerline. The OBD port will be located in one of the above locations. J1850 PWM: If the connector has pin 2 and pin 10, the protocol is J1850 PWM. The connector should also have metallic contacts inside pins 2, 4, 5, 10, and 16. J1850 VPW: Pin 2 is a must. The connector must have material contacts inside pins 2, 4, 5, and 16. However, pin 10 should not be there. ISO9141 and 14230 (KWP2000): PIN 7 is a must while pin 15 is optional. Metallic contacts inside the connector should consist of pins 4, 5, 7, 15, and 16. ISO 15765 (CAN): Pins 6 and 14 should be there, while the metallic contacts should have pins 4, 5, 6, 14 and 16. Look closely at the alignment of the connector and you’ll figure out the protocol supported by your car. It is important that you check a few more things mentioned below before buying an obd2 scanner. These include the price range, update policies of apps etc. There are no rules about the price ranges of the scanners. 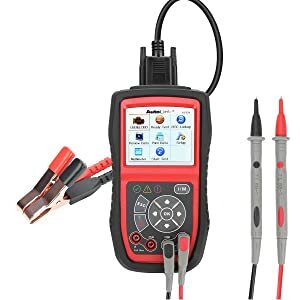 But generally, code readers and DIY scanners are cheaper than professional automotive diagnostic tools. If you are looking for a basic code reader then it might cost you between $10 to $100. As for DIY scanners, they are a bit more than basic code readers and can be bought between $50 to $250. Lastly, professional automotive diagnostic scanners are between $250 to $3000+. It is essential to check the update policy of the scanner before buying it. Some might come with a 1-year warranty and some can offer more than that and cover free updates for 2-3 years. Many obd2 scanners such as Autel AL319 offer free updates for a year. 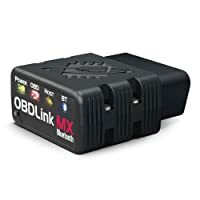 Other than that, OBDLink MX and LX come with lifetime free updates for software as well. However, there are some scan tools that do not offer free updates and you must pay chargers which can be as high as $40. Updates are necessary because they help you tackle new problems in your car. Most of the obd2 scanners offer a maximum of 1 or 2 years of warranty. However, the best warranty deal is offered by OBDLINK MX and LX. Both come with a 3-year warranty for manufacturing faults. It is important to buy a scan tool from a brand that values its customers. This can be determined by reading online reviews from the internet. Autel is one of the best when it comes to customer care. The type of tech support you’ll be needing involves quick solutions to problems. There should be a representative available online to help you walk through problems and to answer all the queries that you have. Not many companies will refund money unless a defective product was sent. You can confirm the refund policy directly from the brand by visiting their website and getting online support. 1. Dashcommand users are reporting a lack of support. Any feedback? 2. 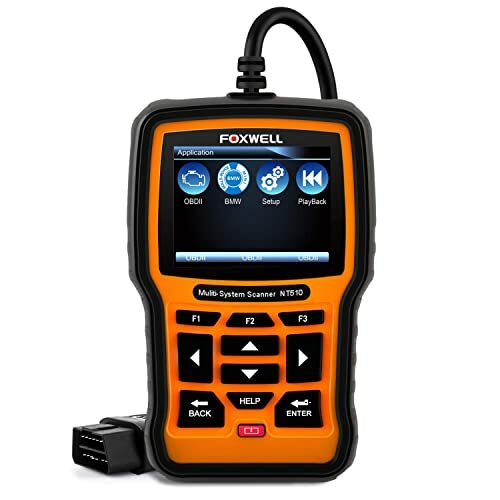 Which of the hand-held tuners, like FOXWELL NT510, is best for BMW-specific codes for under $100?